Gates are available in over 6 variations. Standard and custom systems availale. Systems ships with ready to install posts framing system light weight durable panels and gates. 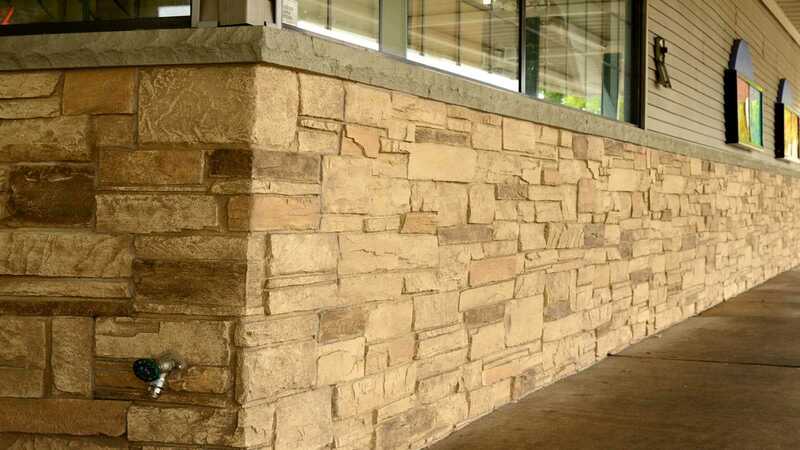 We are getting our URESTONE system specified on nationwide projects ranging from restaurants and C-Stores to Hotels and commercial buildings—that require us to provide the customer with a few contractors that can apply our system. So we are contacting all the contractors that have installed our system on past projects or potential projects. This will allow us to quickly respond to projects moving forward. If you are interested in becoming a qualified URESTONE contractor and getting sent install projects in the area, then fill in our application form. Secondly—Replications Unlimited can provide you unique and innovative systems that help supplement and enhance your business opportunities. The URESTONE production line can provide you both opportunities and competitive advantages for your business. You may already have a list of clients or potential clients—now you have a new system to introduce to them to develop new business. Or when you are looking at new project plans—you now can expand your scope and opportunities to a wider aspect to bid. Multiple Locations? If yes please list them. States And Territories do you specialize in? Would you like literature or a Sample sent?